Help Yourself to English: Audio: What is a "passive" home? 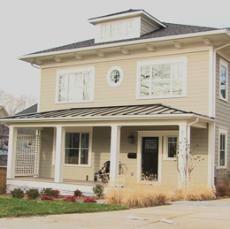 Audio: What is a "passive" home? In this audio programme from the VOA Special English site, you will learn what a "passive" home is and how it saves energy. The programme is written in simplified American English and the presenters speak slowly to help you with comprehension. American accents. Audio time: 3 minutes 55 seconds. Total activity time: 15 to 30 minutes. Then read the transcript and check your answers. If you have problems understanding, listen with the transcript. Then cover the transcript, listen again and answer the questions.